It’s customary at this time of year for Real Gone to count the days until Christmas Eve. Our virtual advent calendar has become a popular fixture on the site and with each passing year has become a great excuse to trawl musical archives and post twenty four music videos. We hope you find something to enjoy this year. Maybe it’ll be new to you, or maybe it’ll encourage you to revisit and old favourite. We’ll be updating this page with a new link every day until December 24th, so don’t forget to keep checking in! 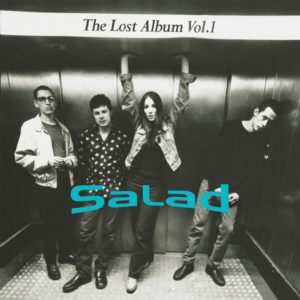 It may have been snobbery due to Marijne van der Vlugt’s previous career as an MTV VJ, but the critics weren’t always so kind to Salad back in the 90s. Those who liked them, however – whether from a journalistic perspective or merely a fan – genuinely loved them. Between 1993-97, the band released a string of enjoyable EPs and two albums, but it was in the live setting where the band really shone, as anyone who saw them on a couple of Carter USM tours in 1994-95 will attest. Camel tour dates! ‘Moonmadness’ to be played in full! Given Andrew Latimer’s intermittent approach to work over the past decade or so, a rare sighting of Camel is always something to rejoice. In September 2018, Camel fans have reason to be very excited when the band will embark on a short run of dates and the live set will include their 1976 masterpiece ‘Moonmadness’ played in full. The full list of dates and other details can be found in the press release below. Earlier in 2017, Americana/pop duo Ferris & Sylvester released their debut, ‘The Yellow Line’ EP. Its songs mixed pop sensibilities with an old fashioned singer-songwriter mentality and was well worth hearing, especially for those looking for a less country alternative to Lewis & Leigh. 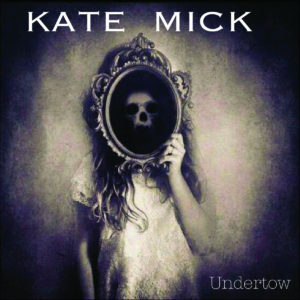 A singer songwriter from Rhode Island, Kate Mick loves the banjo. In fact, she loves it so much, it’s the only instrument featured on her 2016 full length ‘Undertow’. The idea of voice and banjo alone has probably sent a few people running for the hills, but given time to adjust, there’s actually something about such a simple concept that works: not only is Mick adept with her chosen instrument, but she’s a fine songwriter. Recorded live in an otherwise empty theatre on one night, this album’s ten songs take a voyage into a land of extremely haunting Americanaville; a land populated by broken shacks, gas lamps and a real focus on introspection. It should be a much tougher listen than it actually is, but Kate has one of those voices that just lifts everything…a voice that’s steeped in sadness and yet still has the ability to woo.